Current evidence shows great promise for stem cell transplantation as a new therapeutic strategy for stroke. 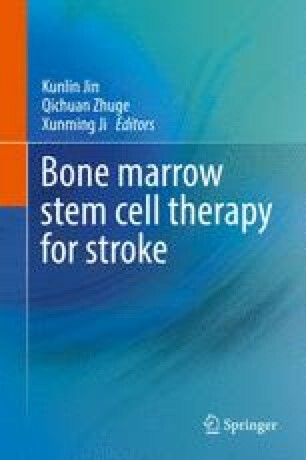 However, stem cell transplantation for stroke is still in its infancy, with many issues that need to be addressed in order to achieve the full potential of stem cell therapy for stroke. Among the major hurdles for successful clinical translation is determining the therapeutic time window, stem cell type selection, delivery route, and underlying cellular and molecular mechanisms. In this chapter, we attempt to review the basic knowledge of pathophysiology and summarize the different stem cells for stroke treatment. Shah S, Stroke Pathophysiology. Foundation for education and research in neurological emergencies. www.uicedu/com/ferne/pdf/pathophys0501pdf,2000. 2000.